Want to try your hand at growing tomatoes? 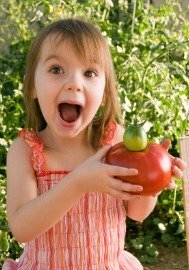 For any beginner gardener this is a good way to introduce yourself to vegetable gardening, as well as the joy it offers to see your first tomato grow and ripen ready to eat. Growing tomatoes is relatively easy and the end result is worth the effort. I think you will agree with me that at the end of the tomato season, you will be motivated to expand your garden experience and perhaps try growing cucumbers, peas, beans, peppers, squash or any other of your favorite vegetables next year. Let's quickly cover the steps we need to take to get your tomato garden off to a good start. Should I plant seeds or starter plants? What kind of tomatoes do you want to grow? Will they grow in your planting zone? Do you have the correct soil and fertilizer? Do you know the watering requirements for your tomatoes? Starter plants are young plants past the seed stage usually between 6 and 8 inches tall and can be purchased at most garden centers or a nursery. Yes, they do have an advantage over seeds in that the plant already has a head start early in the growing season toward harvest time. The drawback if luck isn't on your side is the condition of the starter plant. Is it healthy and to what degree is it disease resistant. Regardless of your choice of tomato variety, that is to say, cherry tomato, grape tomato, etc., what do you know about the quality of the seed it grew from and to what extent is it disease resistant? Sure it looks good at the garden center when you pick it up for a look, but will it grow into a vibrant healthy plant that will give you a decent yield of fruit. The answer basically comes down to luck. That said, may I suggest another option worth considering. Purchase high quality seeds that have been tested and meet a high quality standard for vitality as well as be disease resistant to the most common types of disease your vegetable plants will encounter throughout their growth cycle. As I said on my article on vegetable seeds, you are going to put a great deal of time and effort into your vegetable garden and have great expectation of a healthy yield of fruit come harvest time. So, why not get off to a good start with good high quality seeds. This is where I get to endorse a wonderful and reliable company who has been in the seed business since 1878 and have consistently developed high quality seeds as well as introducing gardeners to many new varieties of vegetables some of which are household names. If you decide to grow starter plants that's okay. However, if you choose to plant seeds, then buy the best from a proven trusted company Burpee Seeds. One more thing before I close this article. If you do decide to purchase seeds for growing tomatoes, do so early before gardening season arrives so that you are ready for the first rays of spring sunshine. Also called "bush tomatoes" grow to a fixed size from two to four feet in height. When fully matured they produce fruit at the end of the stem that ripens usually within two weeks. After this initial crop yield, most if not all fruit production will end and the plant will die off. If homemade tomato sauce is your passion, then growing determinate tomatoes is definitely worth considering, as they produce a large amount of tomatoes all at one time. In some cases you may have to stake the tomatoes to support their weight and to prevent them from touching the ground. Other than preparing the soil with good fertilizer and watering on a regular basis very little work is required on your part. Just stand back and let the plant flourish. Growing Tomatoes Garden Tip - Roma tomatoes are an example of a determinate tomato. Are also called vining plants, and should be supported by a tripod, tomato cage, or other form of support to allow them to climb. These plants are the most popular grown by vegetable gardeners because they offer a large variety of tomato choices such as Big Boy, Brandywine, cheery tomatoes and most heirlooms. You can check with your local nursery advisor for information on other varieties of indeterminate tomatoes. Growing Tomatoes Planting Tip- Determinate plants require no pruning and produce fruit at the end of the stem one time only. 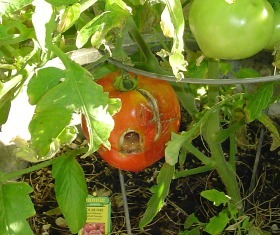 Indeterminate plants produce fruit along the stem and produce tomatoes throughout the growing season usually until frost. Growing Tomatoes Garden Tip - Wait until day time ground temperature reach at least sixty-five degrees and night time temperatures no colder than fifty degrees before planting tomatoes. Don't forget to visit My Gift Shop. After browsing my Gift Shop, you will see a link that will take you back here where left off reading. As with any vegetable, climate conditions play an important part in the success of growing tomatoes. While some tomato varieties will grow in one area of the country, they may not do so well or even grow at all in another part of the country. Therefore, it is important to know your tomato growing zone and choose the best suited tomatoes for your growing condition. You can check with a garden nursery advisor, or copy and paste http://www.usna.usda.gov/Hardzone/ushzmap.html into your Web browser to find more information about your area. Here is another option to find your planting zone. Enter your zip code and find what zone your in and when to plant. Growing Tomatoes Garden Tip - When buying tomato seeds look on the package for your zone. Although there are several factors to be considered in growing an abundant and healthy tomato crop, having good soil that is properly fertilized should definitely be at the top of the list. The traditional way to garden is directly in the ground. If your area is blessed with rich soil and you only need to add fertilizer then by all means consider this approach. Another gardening method that is quite popular and quickly becoming a current trend is growing tomatoes in a raised bed vegetable garden, and after years of traditional gardening I have found this method superior for the following reasons. The bed is raised, and I don't have to bend as much saving wear and tear on my back and knees. A raised bed vegetable garden is isolated from the ground, which greatly reduces pest problems and garden weeds. You control the soil quality because you select what goes in after the raised bed is built. You can easily tend your plants by sitting on the edge of the raised bed vegetable garden. Other advantages come to mind, but if you're like me, these reasons alone are more than enough to consider trying a raised bed garden if you already haven't done so. If you are interested in knowing more about raised bed vegetable gardening, click on our link raised bed garden which will take you to our article on this subject. Whether you are a traditional gardener or plant vegetables in a raised bed garden, the importance of using a good fertilizer cannot be overstated. Traditional gardening is fairly straightforward if you have good soil. 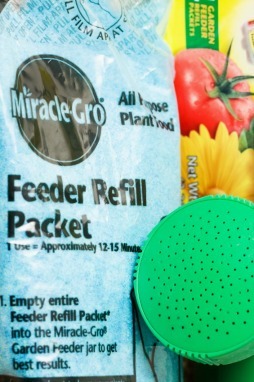 You only have to mix the fertilizer into the soil and then plant and water when necessary. Of course you have pest and weeds to deal with but that's another story. Growing Tomatoes Planting Tip - You can use the same type of fertilizer for traditional gardening or raised bed gardening, just make sure the soil PH level is suitable for growing tomatoes or any other vegetable. Most garden centers sell a kit to check your soil PH level, or you can take a sample from your garden and have it tested. If this is the year you opt to grow in a raised bed, fill the bottom portion of the bed with good garden soil to just under the midway point, then fill most of the remaining half with organic compost and top off with vermiculite to retain moisture for your plants. Smooth or level the surface and slowly deep water the soil. Let the soil dry and settle before you plant any vegetables then again water the soil. I make my own organic compost and find it works remarkably well because it is full of all the necessary nutrients vegetable plants require to grow and be strong and healthy. If you are interested in learning how to make your own compost, click on our link making compost. Iis also available in organic or chemical form and can be purchased at any Nursery garden, Home Depot or Lowe's garden center. My advice is to purchase organic fertilizer such as blood meal or steer manure which is loaded with all the nutrients your plant need. On the other hand is a little more complicated as it comes in a variety of nitrogen, phosphorus and potassium mix. For more information on using chemical fertilizer, click on our link vegetable fertilizer. Another tip on growing tomatoes- If manure odor is a problem, you can also purchase steer manure which has been deodorized. Tomatoes need at least six hours of sunlight every day; therefore where you plant your tomatoes is important. If you're not sure where to plant, observe the arc of the sun throughout the day to find an area that receives at least six hours of sunlight. important to water on a regular basis. If you already haven't done so, purchase a moisture meter as it is designed to tell you if the soil is too dry or too wet. They are not expensive and can be purchased at any garden center. What caused this problem in this ripened tomato picture above? Could it be blossom end rot? No, a close look at the tomato will reveal stress on the tomato from over watering. Notice the tell tale scar of the tomato cracking. Also, the unsightly hole was caused by a bird peck getting a tasty meal. Add mulch such as pine straw or bark chips to the top of your soil, or mix vermiculite in the top layer to prevent moisture from escaping. Growing tomatoes is lots of fun and if you follow these simple procedures, you will harvest tomatoes that are juicy and tasty that will put store bought tomatoes to shame. If you like to learn more about growing tomatoes, click on our link pruning tomatoes for more information on how to prune your tomato plants. Now that you know how to grow great looking and tasty tomato plants, and for them to be truly successful, we have written an informative article on how to support your plants and show you a variety of ways to do this. To read this article and see pictures of types of tomato plant support structures, click on this link tomato cage. 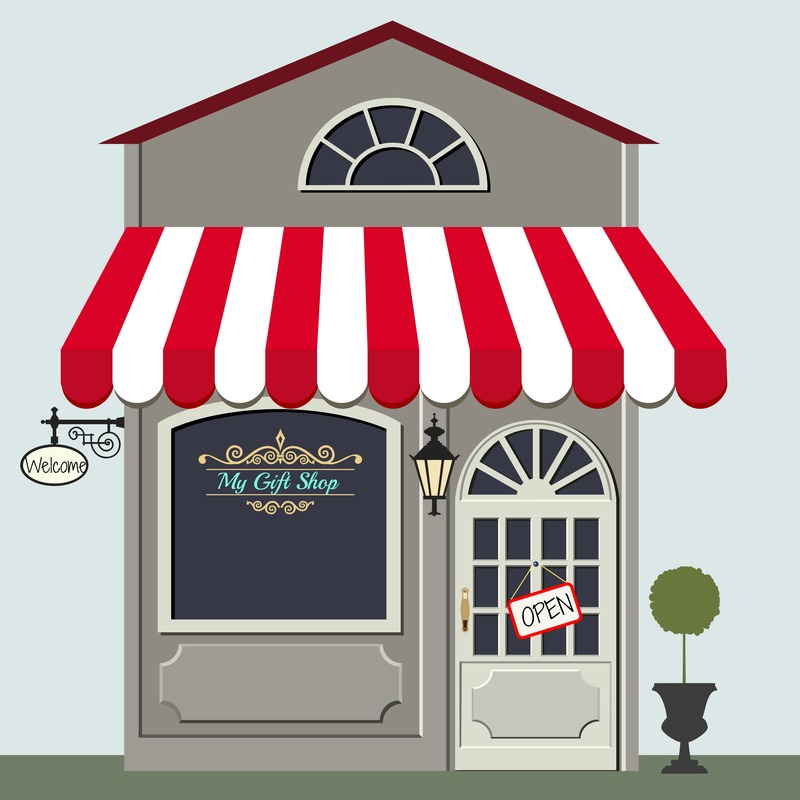 Before you leave me why not drop into My Gift Shop for a peek and see if you find something of interest for you, family, or friends.